Happy April!! I know the start of Spring is in March but April feels more Spring to me. Anyone else?? I'm really excited about this post for a couple of reasons. First, everything is under $50! Most of these items I wouldn't consider basics that you invest in they're more fun spring/summer pieces to add to your closet. Second reason I'm excited for this blog post is because all of these items come from Amazon, Red Dress Boutique and Pink Lily Boutique. I've never ordered clothes from Amazon or Red Dress but so many bloggers have mentioned loving shopping from both places. Pink Lily I've ordered from before and they have such cute things! All of these places are very affordable which I love because we can't always be spending so much when buying seasonal things! I will say though while people have raved about Amazon fashion, read reviews and the description of the items! I'm planning on buying a few things to *hopefully* share with you all from Amazon but from what I'm gathering it can be very hit and miss. 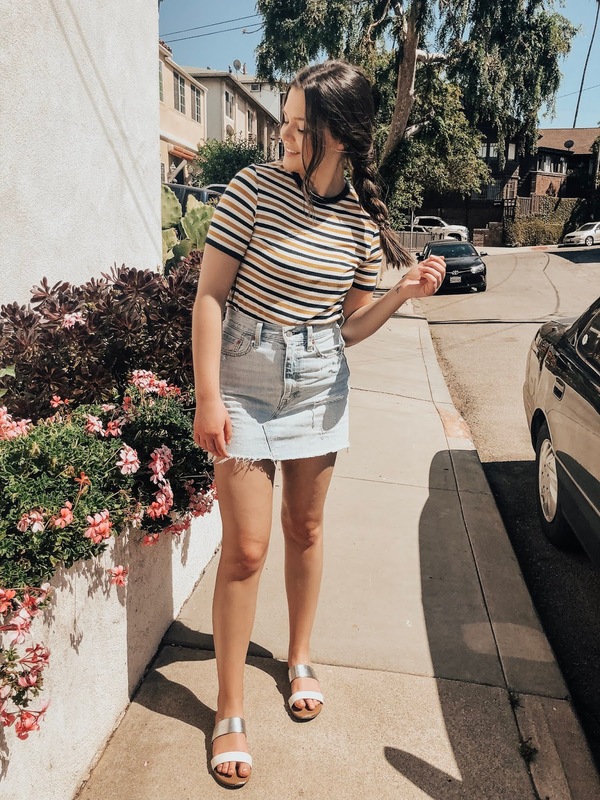 Hopefully this post sparks some Spring inspo for you! Just got the white dress in the mail and I'm obsessed! And it's so affordable which is the best part! Congrats on the babe though!